Tourism Minister Hon. Edmund Bartlett departed the island yesterday, to join Jamaica’s delegation attending the inaugural UAE-Caribbean Cooperation Forum 2018, to be held in Dubai, from November 24 – 26, 2018. “Jamaica is very excited to engage in discussions that can lead to investments in critical sectors which impact our economy. I am happy to join this delegation, being led by colleague Minister, Senator the Hon. Kamina Johnson-Smith. 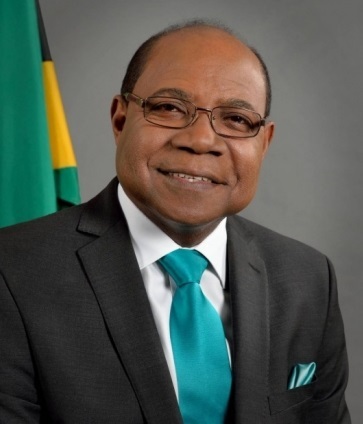 I look forward to sharing my insight and making important connections which I hope will positively impact the futures of the people of Jamaica,” said Minister Bartlett. The inaugural UAE-Caribbean Cooperation Forum’s agenda is being jointly developed by the Caribbean Community (CARICOM) Secretariat and the United Arab Emirates (UAE) and will explore the economic potential of future ties to be developed between the regions. The forum is expected to provide a unique opportunity for senior business representatives, government leaders and other high-profile delegates to identify emerging drivers for joint opportunities and collaboration between the United Arab Emirates (UAE) and the Caribbean. It will specifically focus on investment opportunities within the Caribbean region’s energy, infrastructure, agriculture, information technology and tourism sectors. In addition, the event will highlight key areas where the UAE can offer expertise and investment, to fill gaps in Caribbean markets while also addressing any key economic challenges. Ministers from across the region with responsibility for Foreign Affairs, Foreign Trade, Investment, Economy, Tourism and Culture have been invited to attend. Jamaica’s delegation includes: Minister of Foreign Affairs and Foreign Trade, Senator the Hon. Kamina Johnson-Smith; Minister of Culture, Gender, Entertainment and Sport, Hon. Olivia Grange, JAMPRO’s European Regional Manager Laurence Jones; Deputy Director of Foreign Trade at the Ministry of Foreign Affairs & Foreign Trade, Patrice Laird-Gran. Also joining are CARICOM’s UAE Desk Officer at the Ministry of Foreign Affairs & Foreign Trade, Kavoy Ashley; Senior Advisor to the Minister of Culture, Gender, Entertainment and Sport, Lenford Salmon; Director of Culture and Creative Industries at the Ministry of Culture, Gender, Entertainment and Sport, Gillian McDaniel, Senior Director of Tourism Policy & Monitoring in the Ministry of Tourism, Kerry Chambers, and Executive Assistant to the Ministry of Tourism, Anna-Kay Newell. Member states have been asked to make presentations on areas such as trade, investment and cultural cooperation. Jamaica’s delegation will lead discussions on bilateral and economic partnerships, cultural cooperation and the Technical cooperation and Expo 2020. Invitations were also extended to private sector companies, specifically from the food processing, and the Information and Communications Technology sectors. Eleven local companies will be represented. The inaugural UAE-Caribbean Cooperation Forum 2018 is co-organised by the UAE Ministry of Foreign Affairs and International Cooperation and Dubai Chamber of Commerce and Industry, in partnership with the UAE Ministry of Economy and the UAE Ministry of Culture and Knowledge Development. The Minister will return to the island on November 29, 2018.